NEVER REPLACE A BRUSH AGAIN! 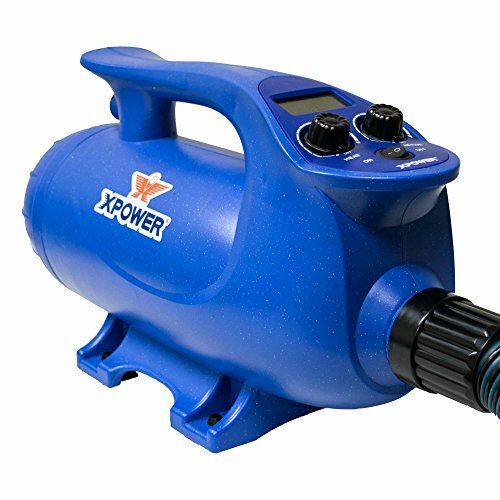 The XPOWER B-8S “Elite Professional Plus” Force Dryer will provide you with 7,000 hours of consistent air production in drying! Lasting more than 6X longer than a regular brush motor force dryer, the B-8S is your simple upkeep answer. This new generation technology motor supplies quiet performance and most airflow for speedy dry times. The XPOWER B-8S provides complete styling keep an eye on with variable speed controls for both air speed and warmth. A convenient digital display offers a reading of temperature and speed. Constructed with shock proof and warmth resistant ABS metal free housing, this Light-weight dryer includes three styling nozzles and an 8 ft. x 1.75 inches thermal prime flex hose. The B-8S is the massive brother to the B-8, and boasts more warmth to dryer faster with skilled salon results. With a 365 days manufacturer’s guaranty, the B-8S from XPOWER is precision engineered for a few years of service.